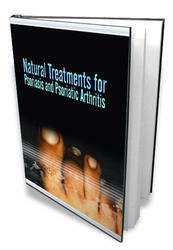 • Fibromyalgia syndrome accounts for 20% of visits to the rheumatologist. • The diagnosis is confirmed by finding 11 of 18 areas of tender points over 3 months. • The female/male predominance is 9:1 for FMS. Fibromyalgia syndrome (FMS) is one of the most common rheumatic diseases, affecting up to 20% of patients seen in rheumatology practices (Keefe and Caldwell, 1997). Patients have fatigue, diffuse myalgias, poor sleep, and stiffness; the diagnosis is confirmed by finding at least 11 of 18 specific areas of point tenderness (Fig. 32-15). Pain must be present for more than 3 months to make a diagnosis of FMS. Psychological factors and comorbid conditions might aggravate symptoms. FMS is more common than RA and causes a comparable degree of disability and loss of family income. About 90% of FMS patients are women, and there is evidence of familial aggregation. Fibromyalgia might also be present in patients with autoimmune disorders such as SLE, RA, and AS and should be suspected when symptoms are unresponsive to anti-inflammatory therapies. Fibromyalgia syndrome is probably caused by central pain mechanism dysfunction, possibly in neurotransmitters. Several studies have found that FMS patients have up to three times higher levels of substance P in CSF than normal controls (Russell et al., 1994). FMS can be initially triggered by trauma or peripheral inflammatory arthritis, but peripheral, ongoing inflammation is not present in this syndrome. Important secondary factors contributing to the patient's pain include nonrestorative sleep, muscle deconditioning secondary to pain, and psychological factors. Pain is most common in the neck, back, shoulders, pelvic girdle areas, and hands. Paresthesias in the extremities are also common, as are tension-type headaches, irritable bowel syndrome, primary dysmenorrhea, chronic fatigue syndrome, restless legs syndrome, temporomandibular joint (TMJ) dysfunction, and regional fibromyalgia (myofascial pain syndrome). Although some FMS patients have depression, most do not. Physical examination reveals tenderness with moderate pressure in 11 out of 18 defined points, although some patients might clinically have incomplete FMS, with fewer sites involved. Care must be taken on examination not to palpate too softly or too firmly. The proper amount of palpation pressure is about the amount of pressure required to blanch the nail of the examining finger when it is pressed against the patient's forehead (Yunus, 1996). No laboratory tests are available to diagnose FMS. CBC results; tests for ESR, muscle enzyme, electrolyte, and ANA levels; and radiography are all normal in the absence of comorbid disease. Sleep electroencephalograms are often abnormal and should be considered if a history of particular sleep disturbances is suspected (see eTable 32-5 online). Because FMS is often seen in association with other rheumatic diseases, the diagnosis is often missed because FMS symptoms might be mistaken for the comorbid disease. Conversely, patients presenting with FMS should be evaluated for an underlying condition. The cause of fibromyalgia is unknown. 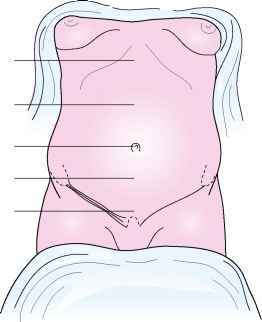 Muscle biopsies reveal no apparent abnormalities. There is great overlap with chronic fatigue syndrome, but there is no evidence that an infection such as chronic Epstein-Barr virus (EBV) is associated with fibromyalgia. About 80% of fibromyalgia patients have sleep disturbances, particularly disrupted non-rapid eye movement (non-REM) sleep (stages 3 and 4, which is deep, restorative sleep). Non-REM sleep deprivation studies have reproduced the signs and symptoms of FMS, which make the sleep disturbance possibly an integral part on the pathogenesis and continuation of fibromyalgia. Patients with RA and other rheumatic diseases have disrupted sleep with nocturnal awakening and arousals to a lighter stage of sleep throughout the night. Sleep studies reveal that patients often cannot recall these episodes on awakening the next day but do feel fatigued or describe themselves as light sleepers.